Exact repro; originally released in 1957. 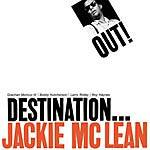 "The last of the Jackie McLean Prestige sessions [with] material from two different sets... the music is on a higher level than one might expect of 'leftovers'" --AllMusic. Recorded at Van Gelder Studio in Hackensack, New Jersey, on February 15, July 12, and August 30, 1957. 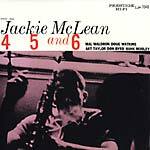 Jackie McLean: alto saxophone; Webster Young: trumpet (tracks 2 and 4); Ray Draper: tuba (tracks 2 and 4); Gil Coggins: piano (track 3); Jon Mayer: piano (tracks 2, 4, and 5); Mal Waldron: piano (track 1); Paul Chambers: bass (track 3); Art Phipps: bass (track 1); Bill Salter: bass (tracks 2, 4, and 5); Louis Hayes: drums (track 3); Art Taylor: drums (track 1); Larry Ritchie: drums (tracks 2, 4, and 5). The second album by saxophonist Jackie McLean for Prestige Records, featuring Donald Byrd (trumpet), Hank Mobley (tenor sax), Mal Waldron (piano), Doug Watkins (bass) and Arthur Taylor (drums). Exact repro, originally released in 1956.